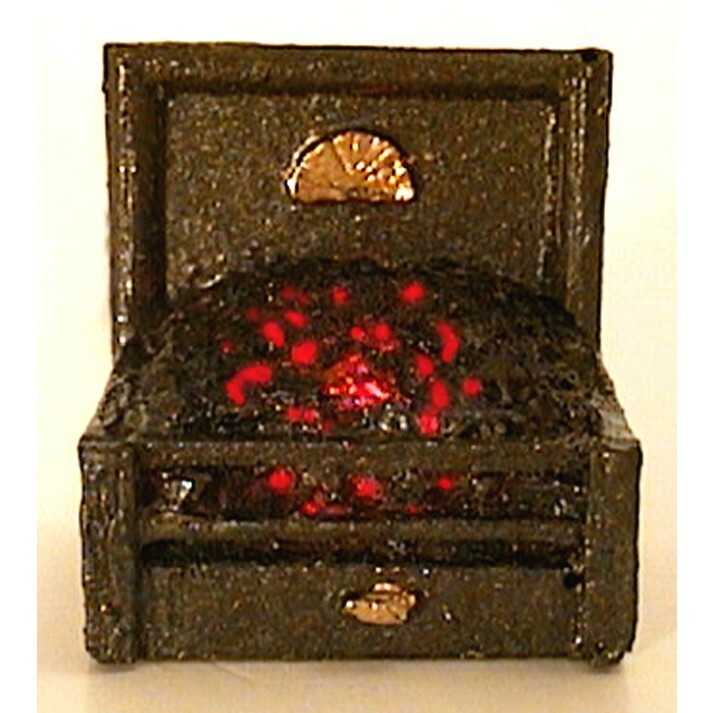 1/24 Scale Miniature Dolls House Resin Glowing Fire with Coals. Complete with 12 volt Grain of Wheat bulb. Approximate dimensions. 20mm Wide x 1.3mm Deep x 22mm Height.